Rachel Gozhansky is a freelance illustrator, presentation and information designer working in Austin, TX. Rachel likes to think of herself as a visual storyteller. She combines creativity with analytical thinking to convey information and stories graphically. One of her greatest strengths lies in taking large amounts of information and pulling out the key elements to best tell the story. This strength combined with Rachel’s 10+ years of design experience and illustration talents have helped her to excel. 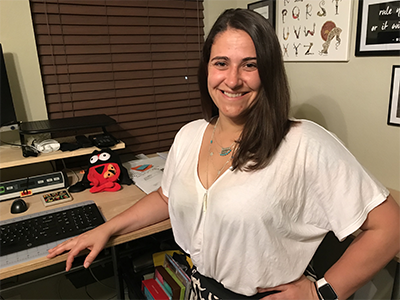 Prior to breaking out on her own in 2016, Rachel has held positions in presentation design, graphic design, digital production, project management, and brand research and strategy. Her move to freelance was driven by a desire to specialize in the areas she is most skilled and receives the joy—illustration and visual storytelling. Rachel is a visual thinker and her goal is to capture what she sees in her mind in order to communicate with the world. Click for resume and detailed work experience.